Where can i rent a Ferrari for the day for £695 in London? Hertz Dream Collection have been renting Ferraris for over 18 years. We offer the iconic Ferrari California to hire for the day or for a week. Enjoy the ultimate in luxury Italian sports car that will turn head and impress friends and family alike. All Ferraris are automatic and can fit a single piece of luggage. With two collection / drop off branches in London (Marble Arch and Bayswater London W2), Hertz Dream Collection make hiring a Ferrari a simple process of making a booking and then having the car either delivered to a London airport or valeted and prepped for collection. 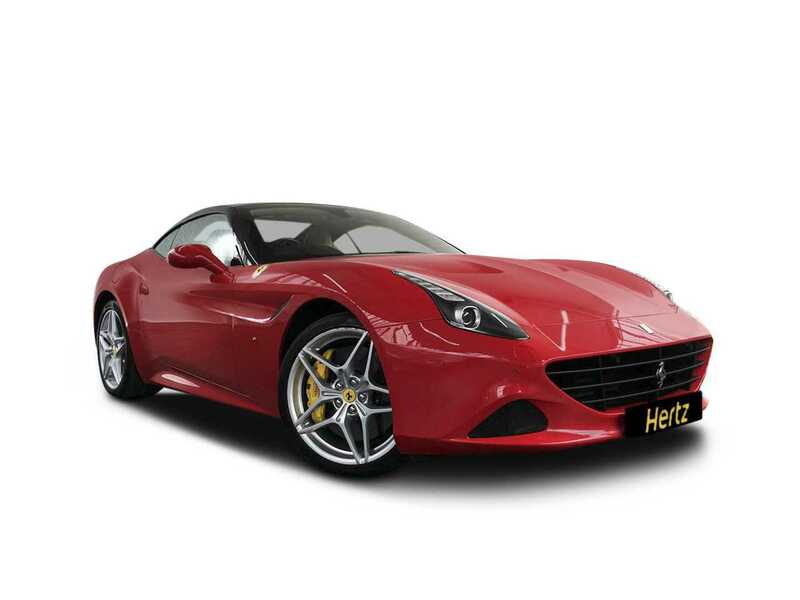 Hertz Dream Collection Ferraris combine the security, peace of mind and customer service you would expect from a global car rental leader such as Hertz with top of the range Ferraris. All cars are owned by Hertz Dream Collection and are rented to customers under the strict terms and conditions of Hertz. All cars are inspected before a customer can collect a vehicle and all Ferraris are in pristine condition. All cars come fully insured with full breakdown cover. Drivers have to be over 30. What Can You Expect from renting a Ferrari? These two-seaters are a prime choice for those who are seeking an intimate and personalised drive. Whether you are zooming through the hillside or getting things done around the city, there is always a reason for a renting a Ferrari. A decent rating in fuel emission and consumption makes it a great rental option, while the automatic transmission and muscular engine will leave you feeling buzzed for a fantastic adventure whenever you choose. While you enjoy the design of this sleek and modern vehicle, take pleasure in the at-home comfort you will have while out on the open road. With an entertainment system that is in the hands of the driver, you can control the game. Bluetooth wireless connectivity, satellite radio, and multiple speakers in the car allow for the highest-quality music experience. LCD monitors in the front of the auto let you be the boss, as you monitor your trip. Electronic controls manipulate the interior and exterior lighting, such as fade-to-off and front map lights. Leather trim on the seating and doors, as well as a leather and aluminium accent detail on the front console and dashboard provide an elegant touch. 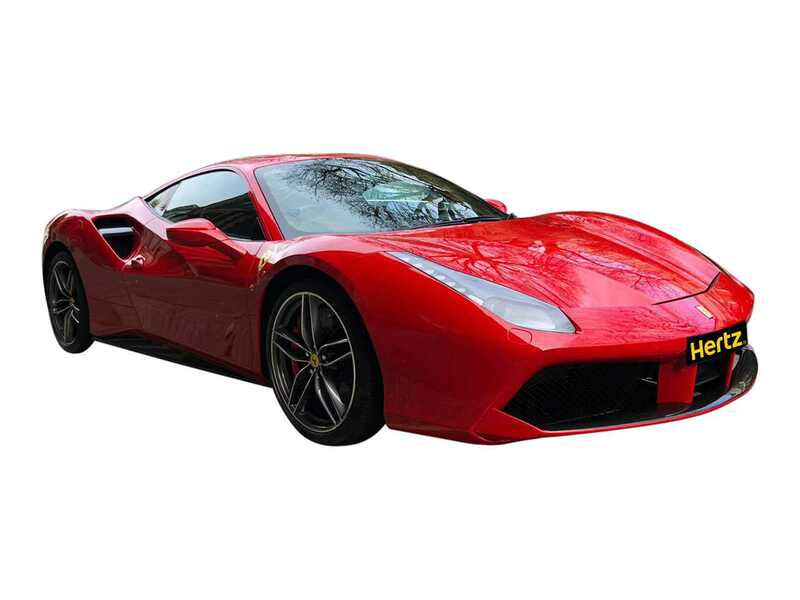 You can stay safe in your Ferrari car hire in London with ample security features that were designed for efficiency and convenience. Electronic stability control is included in the automobiles, as are side impact beams and dual frontal and door-mounted side airbags. LED brake lights offer added safety, and rear fog lighting ensures the security of you and a passenger.